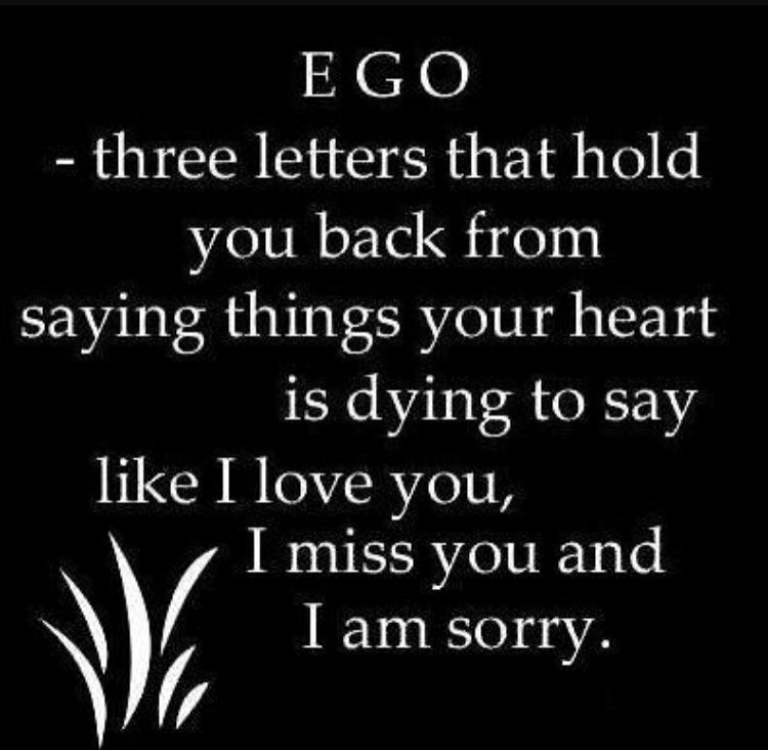 EGO three letters that hold you back from saying things your heart is dying to say like, I love you, I miss you and I am sorry. 1. Miscommunication (often misunderstandings, writing ill-thought out emails, text, face book, and other mass media); compared to the optimal and oldest way: face-to-face expression. 2. EGO: Often things are misunderstood. I want to be the person I used to be, so as the changing year approaches, I am going to start a positive streak. I am going to start by asking forgiveness from people I hurt unintentionally. I don’t think i ever hurt knowing I am hurting people. So sorry, i mean it from bottom of my heart. I want to move forward starting today to forgive, forget, think positive, pray for world peace, respect everyone equally, be respectful to one another, honesty, be giving, be nondiscriminatory, be non judgmental & just be a good person. Just try to be humble. I am human, will make mistakes, but will make sincere effort. Change takes time, but with sincere effort, anything is possible. I believe in spirituality & will do my best to create awareness & Peace. People who have known me since childhood, most of them not here :), know I mean well & am forgiving & If i love & care, I really do & what I say is what I mean. for EGO-take out “E” and let it “Go”.